What the hell? This is awesome. I find myself strangely aroused. I am most definately aroused. 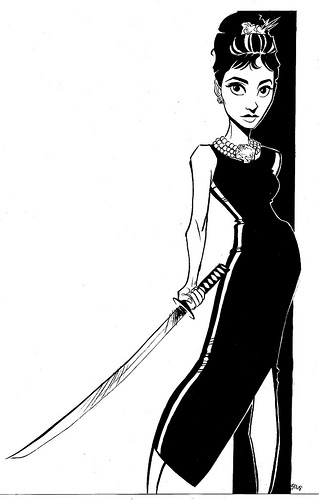 Audrey Hepburn with a sword? I’ll take two.